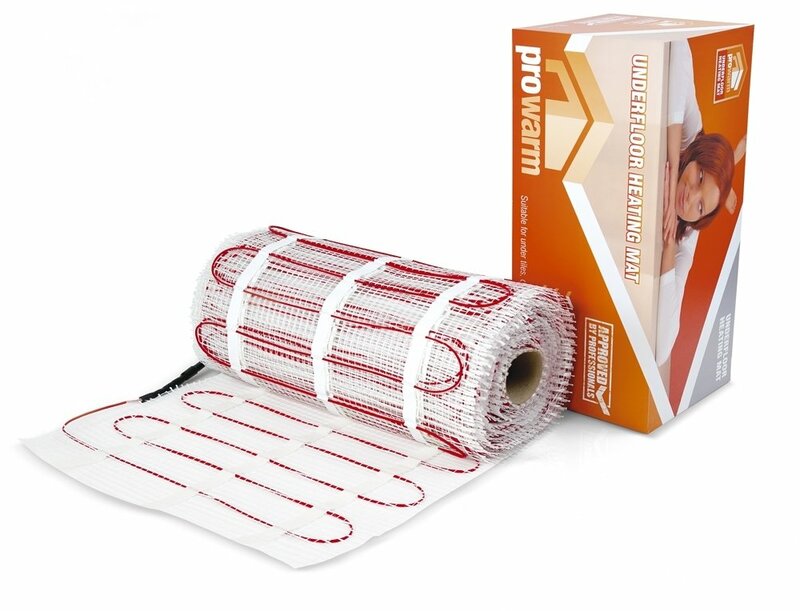 ProWarm™ Electric Underfloor Heating Sticky Mats provide a reliable and effective underfloor heating system that can work with tiles and many other floor coverings. The ProWarm™ Electric Underfloor Heating Sticky Mats System consists of a thin loose wire, evenly spaced and attached to a sticky glass fibre mesh, which allows for the fastest and most secure installation method of electric underfloor heating. The system is available in a choice of 100 W/m2, 150 W/m2 and 200 W/m2 heat output. Meets all test requirements of IEC 60335. Under floor heating provides heat where required, resulting in optimal heat utilization and minimal losses. Can be laid on any area, or any floor layout. Close and uniform spacing of heating cables, associated with thermostat controls to select temperature requirements, provides higher comfort. 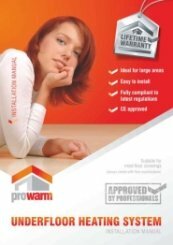 ProWarm™ underfloor heating systems are designed to be easy to install, with clear instruction manuals. A wide range of heat loads and sizes ensure suitability to all kinds of flooring. Please Note: Choose an electric underfloor heating mat that will cover 90% of your floor area. It is best to order slightly less than you need as the cables CAN NOT be cut or shortened.